The peer-reviewed study is published online, and will be featured as an “Editor’s Choice” in the February issue of Brain: A Journal of Neurology (https://academic.oup.com/brain/article-lookup/doi/10.1093/brain/awy317), published by the Oxford University Press. The study showed that “brain vital signs” – a breakthrough for analyzing complex brainwave data to provide a simple, practical and objective physiological evaluation of brain function – is more sensitive in detecting brain function changes related to concussion than existing clinical tests for concussion. 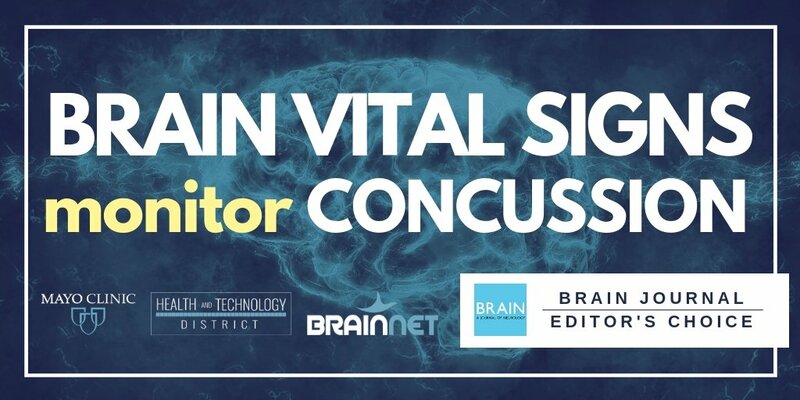 Brain vital signs translates complex brain waves from portable electroencephalography (EEG) – measurable at the rinkside – into fast, user-friendly and intuitive results. In contrast to conventional, lengthy and cumbersome EEG methods that generate event-related potentials (ERPs), brain vital signs extracts these physiological measurements in less than 10 minutes and is easily and fully deployable within a variety of sporting and clinical settings. The brain vital signs framework measured three core, well-established ERP brain responses: the N100 for auditory sensation; the P300 for basic attention; and the N400 for cognitive processing. The amplitudes and latencies for all three responses are converted to standardized scores through normative transformation to produce a total of six brain vital signs measurements. The researchers also found changes occurring over the duration of the season in the group of players who were not diagnosed with concussions, raising further concerns around the emerging concept of “sub-concussive” impacts. Importantly, these “sub-concussive” impacts were associated with the players showing specific and significant delays in cognitive processing speed. Financial support was provided by Mathematics of Information Technology and Complex Systems (MITACS, Grant #IT03240), Natural Sciences and Engineering Council Canada (NSERC), and Canadian Institutes for Health Research (CIHR) for this study. The research study was designed and carried out by the Mayo Clinic Sports Medicine Ice Hockey Research team, partially funded by USA Hockey and the Johannson-Gund Endowment.